Margot Bloomstein is the author of Content Strategy at Work: Real-World Stories to Strengthen Every Interactive Engagement and principal of Appropriate, Inc., a brand and content strategy consultancy based in Boston. Over nearly two decades, Margot has helped clarify content strategy for organizations as diverse as Al Jazeera America, Harvard University, Fidelity Investments, Lindt and Sprüngli, Lovehoney, Sallie Mae, ECCO Shoes, Timberland, and the Rhode Island Public Transit Authority. A participant in the inaugural Content Strategy Consortium and a featured speaker at SXSW, Margot frequently keynotes events and conducts workshops around the world. She also teaches brand-driven content strategy in the graduate program at the Austrian University of Applied Sciences in Graz. 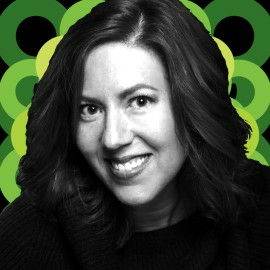 Margot produces the popular brand communication tool BrandSort and tweets at @mbloomstein. Learn how and why to ground your content strategy in a message architecture, and see how consensus and clear communication goals can help all your content marketing efforts fall into line. Brand-driven content strategy empowers more efficient, effective, sustainable content. In this workshop, you’ll get up to speed on the philosophy, questions, and tools to implement it. You’ll use BrandSort to conduct a hands-on exercise to prioritize communication goals and develop a message architecture—ideal whether you manage content for the web, mobile apps, social media, print collateral, or other experiences. How do you earn the trust of your customers, readers, and fans when facts are out—and what “feels right” wins? Mass media and our most cynical memes say we live in a post-fact era. That idea undermines any marketing that promotes ideas, products, services, or politician… and it tracks with trends in social media: our customers turned away from experts and big brands to let “people like us” influence choices instead. But we’re popping those filter bubbles. Now consumers turn inward for the truth—and by embracing vulnerability and designing for empowerment, the smartest organizations meet them there.